Skeleton Watch: A skeleton watch is a special kind of a mechanical watch in which all the moving parts in the watch are visible. This is either through the front of the watch or through the back of the timepiece or else through a particular cut that outlines the dial of the watch. Some of the common skeleton watches available in the market include, Fossil Twist, Patek Philippe Skeleton, Chenevard, Kudoke, Orkina Skeleton Tourbillon, etc. Mechanical Watch: A mechanical watch basically makes use of either an electronic process or a non-electric mechanism to measure time. A mechanical watch runs by the help of a mainspring which has to be wounded after regular intervals. This gives out the energy to put the balance wheel in action. There on the oscillation process continues through the lever escapement to the gear train that distinguishes the seconds, minutes and hours. Ceramic Watch: A ceramic watch is a high quality hard wearing watch that is extremely tough and can resist all kinds of scratches. Ceramic watches are so hard that they are often used in bullet proof body armors as well. These can be nice accessories as well. 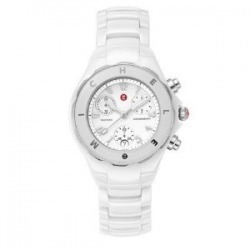 Imagine a white ceramic watch with a platinum band; it’s a chic and classy piece with statement! Pocket Watch: A pocket watch is particularly made to be placed in a pocket and carried in the pocket all the time. It is absolutely different from a wrist watch. The pocket watch has no straps or bands to hold it to the wrist. The pocket watches were the most common in the 16th century till the World War I. After that the wrist watches started gaining popularity. This was the time when a special design of watch, the trench watch was used by the army and the military forces. Quartz Clock: A quartz clock runs with the help of an electronic oscillator that is operated by a quartz crystal which helps maintain the time. With each and every passing frequency the crystal oscillator creates a signal which gives them an order of magnitude over the mechanical clocks. There's a particular digital logic that counts the number of cycles the signal takes. The computerized multi-function watch: The computerized multi-function wrist watch is especially meant for the gadget geeks because one who doesn’t know its numerous functionalities may find it rather tough using it. These watches have intricate interfaces and lots of buttons. These also have calculators, barometers, tonometers, altimeters, digital cameras, video games, GPS receivers, keydrives and eve cellular phones. The special Space Travel watch: This is one of those watches that are used by most of the national space agencies around the world. For instance, the Omega Speedmaster which is a space travel watch is used by the NASA. These watches are specially meant to stand the zero gravity setting and various other conditions of extremity that are stumbled upon by the astronauts in the space. The special Scuba Diving watch: These watches are a lot different to the idea of a conventional white ceramic watch which personifies class and style. These scuba diving watches are meant to face more rugged and harsh situations and are especially meant to be water resistant. These watches are meant for saturation diving and scuba diving. These watches are tested in theoretical depths. For instance, if a watch has a 75 meter rating, it means the watch will be water resistant when it is at a standstill less than 75 meters in tranquil water for a particular period of time. One of the most common methods used in the preparation of this watch is by releasing pressure a petite chamber in which the watch is placed. There is a sensor placed by that is supposed to trace the movement of the case to measure the amount of pressure the watch is loosing and at what pace. Watches in general, including both timepieces and wristwatches or the white ceramic watch, all underwent huge transformation over the past centuries gaining more and more advanced and improved features. No wonder to this day we look upon watches as one of the most indispensable necessities that we need to use at every hour of the day. Watches are of various kinds, each one of them serving different and distinctive functions. When considering buying a watch there is a number of very important elements that you need to keep in mind so that you can be assured you buy a nice watch. The first and foremost element that you need to consider is your budget. The budget is a very important factor because only the fact as to how much you can spend on a watch will decide what kind of a watch you can buy and what the kinds of features it will have are. Watches can range extremes in terms of prices; some may cost $3 while others cost way beyond hundreds and thousands of dollars. Following are some of the basic kinds of watches that you may consider. • Analog Watch: The analog watch is the normal watch that has hands. It may have a second hand or may not have it. The second hand in an analog watch keeps moving continually in a sweeping motion. • Digital Watches: Most of the digital watches display the time in the form of numerals. These days the digital watches are hugely popular among the youth. • LCD Watch: The LCD watch works in a very interesting kind of a way. It makes use of a liquid crystal that is put on display to show the time. Something similar is the LED watch which uses a diode to show the time. • Quartz Watch: The quartz watches are the most popular ceramic watches in the market today. These run with batteries. There is a petite quartz crystal inside the watch that keeps vibrant at a standard frequency which keeps the time. • Diving Watch: As the name suggests this watch is water resistant till the depth of 50 to 100 meters and there is a marking dial. The diving watch has a screw down crown and not a push and pull crown. Fashionable wristwatches are often also used, collected and appreciated as jewelry and accessories. For numerous art-loving individuals around the world fashionable ceramic watch is like intricate and valuable works of art that they prefer to keep in their collections. In these circumstances watches become a lot more just than time pieces. These large scale appreciation for watchers has created an all together different market for wrist watches. Fashionable wrist watches can be of various kinds, some are rather cheap while others are extremely expensive and are more of personal adornments. The second categories of watches are supposed to depict a person’s superior class achievement in efficiency and meticulous mechanical engineering. 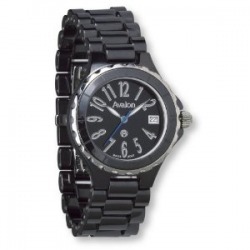 Fashion watches meant for men generally come in all categories, formal, semi-formal and informal. They are also available in a varied assortment including thin, plain, simple or gold. The latest trend that has led to an increase in popularity of expensive rugged sports watches have made these the latest fashion statement items as well, thanks to their hiked prices. Other fashion watches that are equally admired by people with chic and classy taste include those that have a cabochon in the crown, etc. Now coming to the fashionable watches used by women, most of these have very sleek feminine designs and more often than not are heavily bejeweled to match their dressings and accessories. The fashion watches used by women are faceted with gemstones and may have pearls or diamonds in the face, the bracelet and the bezel. Some of these watches are often entirely created out of corundum or sapphire. Recently white ceramic watch has also attracted the attention of a lot of fashion conscious women who love to match it with their exotic gowns or skirts. These watches have a unique look and hence help them go both with formal and informal dressing. Other than these various kinds of inexpensive fashionable watches can also be bought from departmental stores. These are affordable, sleek, trendy, stylish and precise costume watches that absolutely suit the tastes of women.